A couple of weeks ago I was fortunate to be invited by Pricewaterhouse Coopers to attend the 2 day Growth Summit at the Sydney convention centre. 3 of the 5 presentations particularly stood out and left a mark on me, so I thought I'd share my notes over a series of 3 posts. 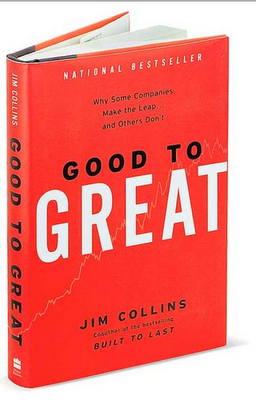 The first presentation was by Jim Collins, author of Good to Great, Built to Last and How the Mighty Fall. 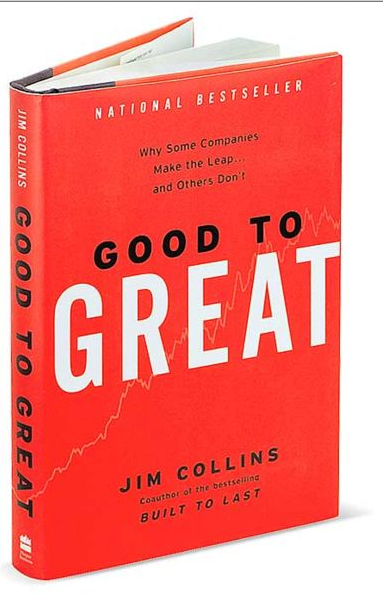 Jim has spent his entire career studying what differentiates great businesses from all the rest, and his books are regularly listed in must read lists of business books. Following are my notes from his presentation. Greatness is not a function of circumstance. It's a function of choice and discipline. 1. Get the right people on the bus and in the key seats. The most important executive skill = pick the right people and put them in the right roles. Spend 50% of your time on people. 2. Determine where to drive the bus. Leadership has nothing to do with charisma and personality, it's irrelevant. Eg. Darwin Smith, Kimberly-Clark. Darwin was quiet, shy, reserved and unsure if he was the right choice as CEO. He said after his tenure, 'I was just trying to be qualified for the job'. He was a great decision maker. He made the difficult decision to sell their 100 year old mills business which was how the company was founded at the right time, free up funds to move into consumer goods. Eg. Anne Mulcahy, Xerox. Ann was hugely charismatic however she didn't have a personal ego. She viewed her leadership role at Xerox as a privilege rather than a responsibility. She was a great decision maker and would do anything to ensure Xerox would succeed. Eg. Herb Kelleher, Southwest Airlines. Herb was weird. He once resolved a trademark dispute in front of a stadium full of people with an arm wrestle against the CEO of the other company. Despite weirdness, he would fundamentally do anything to ensure that Southwest and it's culture, people and values would win. These 3 leaders were all incredibly different in terms of their charisma and personality, however they were all hugely successful business leaders. Charisma and personality are irrelevant to being a great business leader. See themselves in the service of their company, not your company in service to them. Great leadership is when people follow, who don't have to follow. Fanatic discipline - eg. Robert F. Scott and Roald Amundson getting to the South Pole. Amundson targeted 15miles per day rain, snow or shine. Scott went hard on good days and didn't move on bad days. Amundson made it to the pole and back. Scott and his entire team made it to the south pole 30 days later then died on the way back. Lesson: stick to goals regardless of barriers. Do that in the bad times and also the good times, to the point of holding back in good times to avoid overreaching. Amundson started what could have been his final day 45miles from the South pole. He didn't know how far Scott was from the pole and whether he was about to be beaten if he held back. He could have pushed and made it that day as the weather was great. But his fear was there would be a storm and he'd be caught in the open exhausted. So he held back and took another 2 days to get there. He beat Scott by 30 days, and lived. Empirical creativity - Amundson had the humility to be empirical. He made a point of ensuring he first understand what worked in South Pole conditions, so he went to live with eskimos to learn as part of his preparation. They taught him to use dogs rather than horses to travel in extremely cold conditions. Horses sweat. Horse + sweat + wind + -30degrees = frozen horses. Innovation is important, but don't bet your company on an unproven innovation. In addition to horses, Scott also took motor sleds which were a brand new technology and untested in such cold conditions. The motors cracked. With dead horses and broken motor sleds Scott's team had to pull their supplies themselves, and they died. Amundson made it easily with his dogs which empirical analysis taught him. Fire bullets, then fire cannon balls - once you've found something that works, focus on it with fanatic discipline. Only 9% of first to market innovators were the most successful company in their space. 64% of the pioneering innovators go out of business. Be innovative enough to be in the game in your industry. Beyond that, it's more important to marry discipline to creativity such that the discipline amplifies the creativity rather than destroying it. This discipline is more important than overextending the innovation. Productive paranoia - Amundson was always worried about what could go wrong, and built buffers into all his plans. He determined how many supplies his team needed, then multiplied it by 3. He not only put flags on his return trip supply depots, he put pennants out 10miles in every direction from the supply depots in case his navigation was off and he missed the original flag. Bill Gates ran Microsoft conservatively enough that the business could go 1 year without revenue. Plan and keep cash on the balance sheet. The most successful companies hold 3-10x the cash of comparable companies, even when they're small. If they had to hold growth back so they had options in tough times they would do so. Be prepared for the unexpected. Great companies have values they stay consistent to. How do you define your values? Ask yourself questions like, "what would be lost if we disappeared? What would society lose? Who would miss us and why? What's our distinctive contribution and why?" Those who have the biggest impact on changing the world are the most consistent in their approach. Eg. Apple. Identifying values: "The Mars Group." Pick 5 people from your company you'd send to the planet Mars to form the core DNA of your company to be set up on Mars. Ask them for their personal values. Those should be the values of your organisation. Would you want your organization to hold this core value, even if at some point in time it became a competitive disadvantage—even if in some instances the environment penalized the organization for living this core value? Jim and his team studied the impact luck has on great companies. It's not the luck itself, it's the return companies get on luck. Great companies will get a great return on good luck, and minimise the impact of back luck. They do this through fanatic discipline, empirical creativity and productive paranoia. Great blog post thank you!! 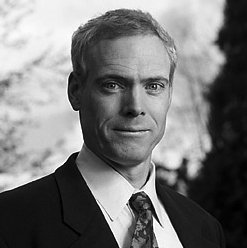 I'm really looking forward to attending The Growth Summit here in the UK on the 15th May, Jim Collins has such an amazing amount of business knowledge to share, it will be a privilege to get access to that live!